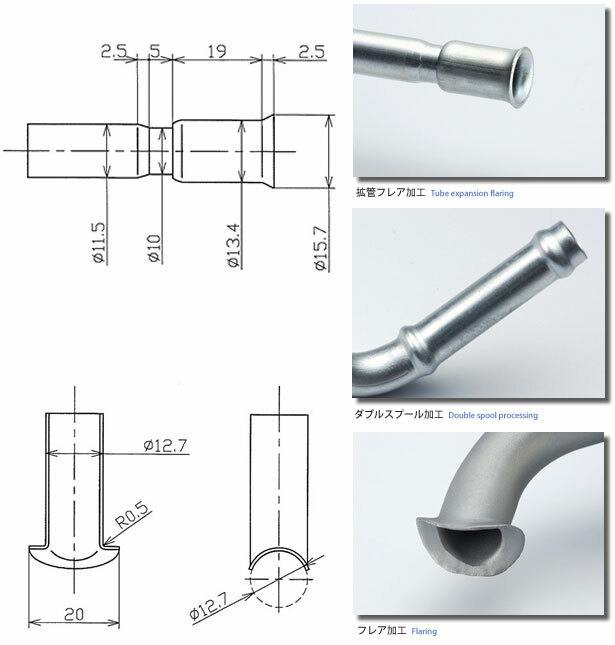 The size of bend radius of pipe is normally over "1.5D" but we can handle bending from same bend radius of "1.0D" to very small bend radius of minimum "0.7D" without "bending wrinkles" and "cracks/breakage" using our bender developed by our company. For continuous bending processing, we realize the improvement of high-precision bending and processing limitation by using our internally developed "bending processing system using ultrasonic vibration". 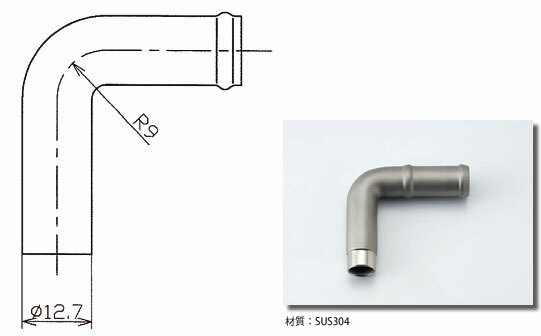 The size of general bend radius of pipe is over 1.5D. 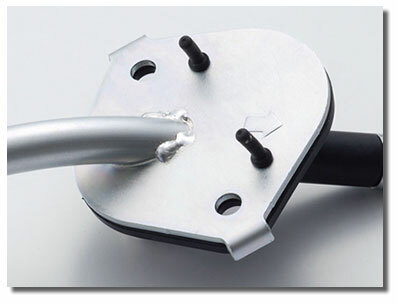 Same bend radius of "1.0D" is possible by using our internally developed bender. We succeeded in very small bend radius of 0.7D against pipe's outer diameter and already have mass production history of over ten years. 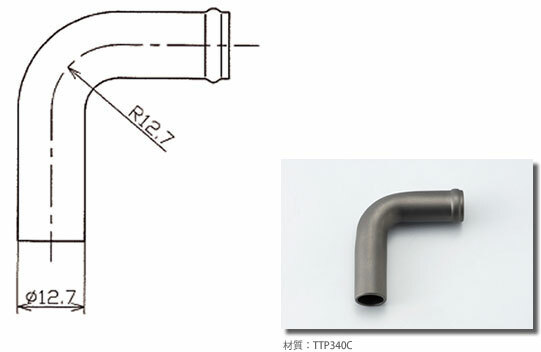 Bending processing is possible also for deformed pipes with both ends of "square pipe" and "round pipe". 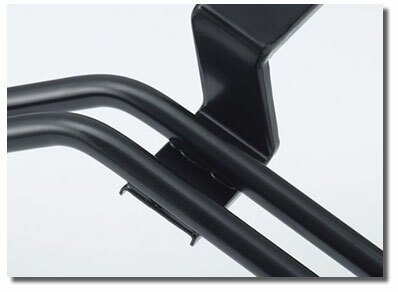 In case of handling a pipe in equipment, it can be passed through the limited space by using a deformed pipe. 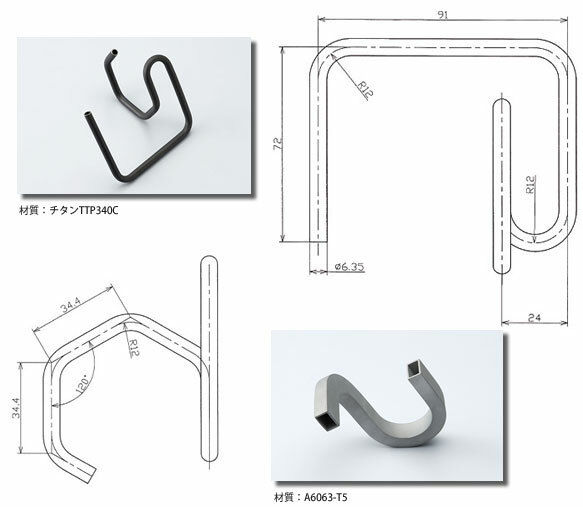 Various types of continuous bending are possible for SUS, titanium alloy and aluminum from general carbon steel such as STKM and STA. 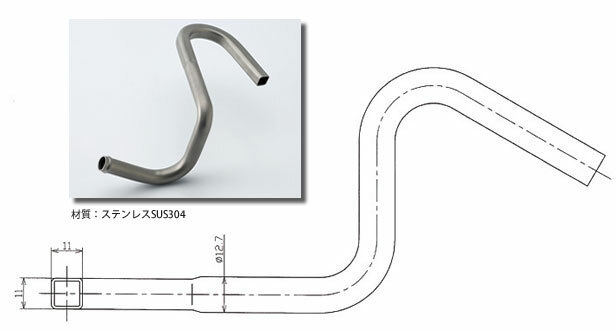 Also, high-precision continuous bending is possible for not only round materials but also square-shaped pipes. Tube expansion/drawing processing is also possible besides general spool/bulge/flaring processing. Nearly 40% (max. 60%) ductility processing is possible while material warranty (such as cracks) is normally less than 20%. We can respond to wide range of materials from general carbon steel such as STKM and STA to SUS, titanium alloy and aluminum. 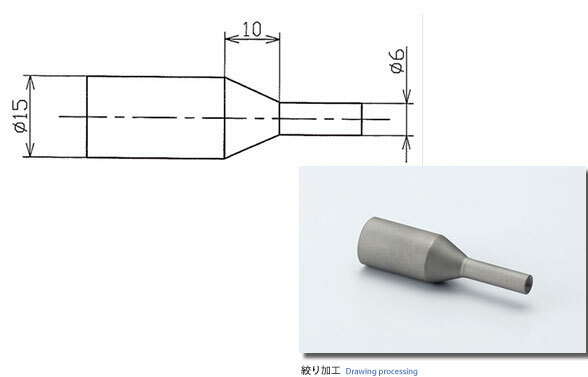 It is a processing to swell arbitrary position such as end and mid part of a pipe or extend it into flare shape by keeping the pipe immobile and pressing shape-forming punch using press, etc. It is a processing to make outer diameter smaller by keeping the pipe immobile and pressing drawing-forming punch using press, etc. We can respond to the drawing processing up to 60% against pre-processing diameter. It is a processing to shape a pipe into trench shape by keeping the pipe immobile and rotating it while holding and pressing it using a rotating tool made into finished shape. 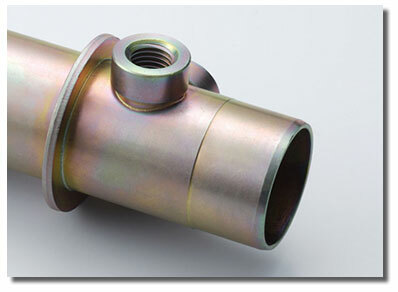 We can do various kinds of brazing processing such as copper brazing, silver brazing and brass brazing by continuous atmosphere furnace, various kinds of arc welding such as gas metal (MIG, MAG) and tungsten (TIG) and resistance welding such as superposition production and spot welding. We focus on processing for difficult-to-cut materials and high-precision processing and respond to wide range of parts such as aerospace related parts and medical equipment related parts including our main vehicle parts. We can respond to difficult-to-cut materials from general carbon steel (SC) to alloy steel (SNCM)/stainless steel (SUS)/heat-resistant alloy steel (NCF), so-called inconel alloy and alloy tool steel (SKD)/titanium alloy steel. We can respond to outer diameters from 1mm to 160mm.